Take a bite out of Love in Salty’s at Redondo Beach's Valentine’s Cookie Decorating Parties available for people of all ages.. Do you enjoy a little more self expression in your cookie making? 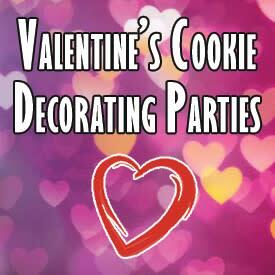 Then join us for our Cookie Decorating Party on February 7th from 6pm-8pm, all ages. These parties fill quick, but we’d love to see you. Reserve your spot now!